Today's Debate - Protein "Needs"
Today you're in for a real intellectual treat - an actual debate that took place between John Berardi, PhD of the University of Texas at Austin and Stuart Phillips, PhD of McMaster University in Ontario. Now, on the internet, debates happen all the time - so why should you be excited about this one? Well, for starters, most internet debates usually take place between guys with self-styled expertise and screen names like biggunz252 and punkmass101. They don't happen between 2 established experts working in research labs on the very topics of the debate. Further, with most internet debates, at the first sign of disagreement, the actual content of the debate degenerates faster than an episode of Jerry Springer. First come a few thinly veiled assaults at the other person's intellect. Next comes full blown effrontery. Finally, there's talk of each other's mommas. Now, while these "debates" might be entertainment for a dull day at the office, they rarely ever prove useful beyond the first few posts. Very disappointing. So, as an antidote for the typical internet debate, we decided to post this one below. It's raw, without any editing and, as Dr Phillips said "it's straight from the head and from the heart." Now, to understand how this came about, it's important to know that in Ontario, there's a small community of scientists, coaches, and scientists and coaches in training who "get together" periodically (via email) for what's called a "journal club." Basically, what happens is that each month, one member of the journal club sends out a bunch of articles for the others to read. Then, the group discusses the articles. Ideas, discussions, debates, future research, and coaching strategies are derived from these "sessions". Recently, the monthly journal club topic was protein needs and 2 articles were up for discussion. The first was an article by John Berardi entitled The Protein Prejudice. The second was a scientific review article by Stuart Phillips entitled Protein Requirements and Supplementation in Strength Sports and published in Nutrition. After throwing around these articles for a while, the members of the journal club invited Drs Berardi and Phillips to debate the issue. And this debate is what we've published below. Please let Dr. Berardi know what his opinions have been read. Since John has now joined the science fraternity (Ph.D. recently defended, congratulations to him) please let him know that I look forward to exchanging viewpoints on these topics and those of a similar nature in the future. As far as 'optimization', this is a far more difficult question and even John knows that this has not been answered satisfactorily; or at least not to a degree that would make me offer the advice that lifters should "eat more protein - a lot more". While it is easy to say eat more protein and counsel athletes to do this what you have to ask at this point is what are the dividends of eating more protein over and above requirement? Likely few, but then since they will never have tried doing anything else, do you get stronger, leaner, etc because, or in spite, of what you do? In a recent review (Nutrition 20: 689-695, 2004) I examined the evidence for whether resistance trained athletes 'need' more protein, the answer is likely the opposite - on this John and I can agree. I also pointed out in the same review, after taking relevant nitrogen balance data and regressing it through zero nitrogen balance, that resistance trained athletes require more protein than sedentary individuals. The problem is that by all standards most milk, egg, and meat eating North American males eat way more protein than they need. Also, I take issue with Dr. Berardi's interpretation of requirement - i.e., the RDA - being "eating just enough protein to prevent deficiency" in fact the basis of the RDA is a MUCH lower protein intake than 0.8g protein/kg/d, but addition of safety margins means that 97.5 of the population are covered. Thus, it may well be that your individual requirements are FAR less than the RDA, but you'd have to participate in a study to find out exactly where you are. The problem with all of this discussion about requirements and using nitrogen balance is the method is badly flawed (see below). Hence, trying to talk about a requirement or even optimizing protein intake based on finding from nitrogen balance studies is like trying to circumnavigate the globe using a map before we knew the earth wasn't flat - the instrument is badly flawed so it will lead you, ultimately, in the wrong direction. My feeling on the whole issue of protein consumption is that it appears to be beneficial to consume a higher than normal protein intake during a period of weight loss, to prevent loss of lean body mass. Lifting weights will only augment this effect and will, IMHO, have the more potent effect in terms of allowing one to hang on to as much protein as possible during energy deficit - I know the scientist finally agrees with the strategy tried and tested by body builders for years. Using the logic laid out by John in his argument for how much protein you should consume to 'optimize' training, along with the flawed N balance approach, one could argue that athletes can simply consume more and more and more protein since it is impossible to define a true ceiling (and since N balance just keeps going up - see an article written by Robert Wolfe - Am J Clin Nutr. 72: 551S-557S, 2000 - which discusses this topic. I suppose to answer the question of optimization I would define it thusly: a protein intake that allows maximal functioning of all synthetic processes that require amino acids and that prevents excessive oxidation of amino acids and production of urea. The closest any study has come to measuring something like this is a study by Tarnopolsky et al in 1992 (J. Appl. Physiol. 93(5): 1986, 1995) in which he showed that despite an estimated protein intake to maintain nitrogen balance being somewhere around 1.7 g protein/kg/d but that the synthetic of ALL body proteins (including muscle) was maximal at a protein intake of 1.4 g protein/kg/d, with no further increase up to 2.4 g protein/kg/d! It did appear that the RDA for protein was not sufficient to maximize the synthetic rate of body proteins. Hence, faced with these data I am not sure that one can argue that a protein intake of more than 1.4 g protein/kg/d is necessary or even beneficial for protein requiring process. Let's say a hypothetical individual - Fred - weighs 90kg and in one year gains 10kg (22lb) of muscle, not mass, muscle. That's a pretty impressive rate of gain and something most of us would be happy with? Now, that means over a year Fred has gained 10kg of muscle, which is 75% water, so really he has gained 2.5kg of muscle or protein (i.e., 2500g). That means he has gained: 2500g protein / 90kg / 365d or ~ 0.076 g protein/kg/d. Now what if this person were smart and consumed some extra energy? Well, we know that this spares protein (Garza et al. Am. J. Clin. Nutr. 29: 280-287, 1976). Also, we know that resistance exercise, consistent with its anabolic nature is conservatory for muscle protein. Hence, resistance exercise, as John freely acknowledges, results in a reduction in protein requirements due to overall protein retention; this is particularly true in skeletal muscle when you haven't eaten (Phillips et al. Am. J. Physiol. 273: E99-E107, 1997). Now if all of this true, then my estimates above are even higher than they need to be. So protein to 'optimize' muscle mass gains are not large, certainly no larger than what most lacto-ovo, meat-eating north American males consume on a habitual basis - this was my ultimate point in recent review. Increased Thermic Effect of Feeding - While all macronutrients require metabolic processing for digestion, absorption, and storage or oxidation, the thermic effect of protein is roughly double that of carbohydrates and fat. Therefore, eating protein is actually thermogenic and can lead to a higher metabolic rate. This means greater fat loss when dieting and less fat gain during overfeeding. True - and likely a benefit or eating more protein. Increased Glucagon - Protein consumption increases plasma concentrations of the hormone glucagon. Glucagon is responsible for antagonizing the effects of insulin in adipose tissue, leading to greater fat mobilization. In addition, glucagon also decreases the amounts and activities of the enzymes responsible for making and storing fat in adipose and liver cells. Again, this leads to greater fat loss during dieting and less fat gain during overfeeding. response unless the protein load is enormous - John knows this. Increased IGF-1 - Protein and amino-acid supplementation has been shown to increase the IGF-1 response to both exercise and feeding. Since IGF-1 is an anabolic hormone that's related to muscle growth, another advantage associated with consuming more protein is more muscle growth when overfeeding and/or muscle sparing when dieting. What is the true significance of this? Even John would have a hard time finding data to support the thesis that greater circulating IGF-1 after exercise OR feeding results in greater lean mass gains (we have data showing that even with no change in IGF-1 you can get hypertrophy - Journal of Applied Physiology, in review) - this is hyperbole at best! Reduction in Cardiovascular Risk - Several studies have shown that increasing the percentage of protein in the diet (from 11% to 23%) while decreasing the percentage of carbohydrate (from 63% to 48%) lowers LDL cholesterol and triglyceride concentrations with concomitant increases in HDL cholesterol concentrations. True - losing weight also reduces cardiovascular disease. Also, what about elevated homocysteine, an independent risk factor for cardiovascular disease, on high protein diets? Improved Weight-Loss Profile - Brand spankin' new research by Layman and colleagues has demonstrated that reducing the carbohydrate ratio from 3.5 - 1 to 1.4 - 1 increases body fat loss, spares muscle mass, reduces triglyceride concentrations, improves satiety, and improves blood glucose management (Layman et al 2003 - If you're at all interested in protein intake, you've gotta go read the January and February issues of the Journal of Nutrition. Layman has three interesting articles in the two journals). What John knows is that in the Layman study (J. Nutrition - 2003 Feb;133(2):411-7) is that overweight women who consumed 68g protein/d (0.8 g/kg/d) and 239g CHO/d (2.8g/kg/d) versus a group who consumed 125g protein/d (1.45 g protein/kg/d) and 171g CHO/d (2 g CHO/kg/d) that the higher protein group saw the effects outlined. However, what I might point out is that most, if not all, lacto-, ovo-, meat-consuming North American males are getting that amount of protein anyway. Hence, it would foolhardy, based on these data to conclude that eating more than this would have more benefit. Besides, if you're not losing weight, but gaining weight, what is the effect of consuming extra protein? Do blood lipid levels go up? What about homocysteine? The Layman study does nothing to address these questions, which are very real possibilities. Increased Protein Turnover - As I've discussed before in my article, "Precision Nutrition For 2002 And Beyond," all tissues of the body, including muscle, go through a regular program of turnover. Since the balance between protein breakdown and protein synthesis governs muscle protein turnover, you need to increase your protein turnover rates in order to best improve your muscle quality. A high protein diet does just this. By increasing both protein synthesis and protein breakdown, a high protein diet helps you get rid of the old muscle more quickly and build up new, more functional muscle to take its place. This effect has never been shown in muscle. For whole body protein turnover, a study by Tarnopolsky (Journal of Applied Physiology 73(5): 1986-1995, '92) shows that whole body protein turnover increases with increasing protein intake, but I suspect that this is due to more rapidly turning over tissues - gut and liver and not muscle. In any event, I cannot be stated as fact that higher protein intakes help "get rid of the old muscle more quickly and build up new, more functional muscle to take its place." This conclusion is simply unsupported by any real evidence. Increased Nitrogen Status - Earlier I indicated that a positive nitrogen status means that more protein is entering the body than is leaving the body. High protein diets cause a strong positive protein status and when this increased protein availability is coupled with an exercise program that increases the body's anabolic efficiency, the growth process may be accelerated. I am not sure what increased N status means, but I think it means increased nitrogen balance. Which is true, if you consume more protein you go into higher and higher nitrogen balance. Herein lies the greatest problem with the studies carried out by Lemon and Tarnopolsky, that is reliance on nitrogen balance to determine protein needs. Take for example the data from Tarnopolsky et al (J.Appl.Physiol. 68(1): 187-193, 1988), which is constantly cited and even Lemon et al (J.Appl.Physiol. 73(2): 767-775, 1992), another citation classic. Look at the nitrogen balances that these subjects are in when consuming intakes of protein of 2.4-2.5 g protein/kg/d - the mean in Tarnopolsky's '88 paper is 14g of nitrogen/d and in Lemons paper at 1.6-1.7 g/kg/d, the Nbal is 9g N/d. Now, if protein is 16% by mass nitrogen then 14g/d means that these subjects were gaining 87.5g protein/d - Tarnopolsky '88. Or according to Lemon 56.25 g protein/d. Hence, by these calculations, these subjects, if they kept consuming these protein intakes should gain 365d x 87.5g/d = 31.9kg of protein (i.e., muscle, unless your gut, liver, or skin are growing, which seems unlikely) per year - I think we can all agree this isn't possible even with good lifting, good nutrition, and even steroids. It's a little more reasonable in the Lemon study, but still means the subjects would've gained 365d x 56g/d = 20.4kg/year. Quite simply, nitrogen balance can't be used as a good method to understand protein requirements. This has been recognized for a while now - Hegsted Am. J. Clin. Nutr. 21(5): 352-357, 1968. Increased Provision of Auxiliary Nutrients - Although the benefits mentioned above have related specifically to protein and amino acids, it's important to recognize that we don't just eat protein and amino acids - we eat food. Therefore, high protein diets often provide auxiliary nutrients that could enhance performance and/or muscle growth. These nutrients include creatine, branched chain amino acids, conjugated linoleic acids, and/or additional nutrients that are important but remain to be discovered. This illustrates the need to get most of your protein from food, rather than supplements alone. True enough. All are possibilities. In the final analysis requirement or 'optimization' the argument is moot. Available evidence (Tarnopolsky Journal of Applied Physiology 73(5): 1986-1995, '92) as well as hypothetical calculations are not consistent with the tremendously elevated protein needs John says must exist. Optimization cannot, using nitrogen balance, be defined since nitrogen balance consistently (and falsely) shows a positive Nbal with increasing protein intakes. Now don't get me wrong, I'm not saying consume the RDA for protein - and that wasn't my message in my review - but supplementation with protein (above beyond a good diet) appears unnecessary. Timing may be marginally important, but this is comparatively minor part of the equation. In the end protein supply is rarely limiting! Accumulating evidence does suggest that during periods of weight loss that to prevent lean mass losses higher protein intakes would help reduce protein loss - how high hasn't been determined, however. I'm sticking to my concluding statement in my review, since I see no true evidence to support any other recommendation otherwise; namely, that 12-15% of one's energy should come from protein. If you're an 80kg male who's lifting 6d/week (1-2h/d) then you likely require something like 3800kcal/d, then that means that 12% = 114g protein or 1.4 g protein/kg/d, which incidentally has been shown in hard-training individuals to maximize the synthetic rates of all proteins in your body (Tarnopolsky Journal of Applied Physiology 73(5): 1986-1995, '92). I appreciate you taking the time to construct an amazingly thorough and fair response to what can be, at times, a volatile debate - especially when it's done behind the relative anonymity of an email exchange. Your respectful demeanor is just what these types of exchanges need in order to stay on track and really make a meaningful contribution. Your response can teach a great lesson to all those "listening in" as many are younger students who will be entering this field and will have many opportunities to debate in the future. Sometimes these debates, especially when done on the web, can degrade rapidly to slanderous mamma-slam fists. Hopefully, when faced with "opponents" who wish to take things to that level, those reading this exchange can follow your example, sticking to the facts and debating in a reasonable and rational way. That said, let's roll up our sleeves and get down to the business at hand - discussing protein intake (and, since it's really difficult to discuss one macronutrient in isolation of the others, especially when our end is applied nutrition, we should probably touch on overall dietary strategy a bit also). To begin with, though, I need to bring up a side issue that should be clarified before moving on. The "Protein Prejudice" article that was referenced in your response (printed in full below) was actually published back in March of 2003, nearly 2 years ago. Why make this point? Well, in the 2 years that have passed since the publication of this article, certainly new data have emerged that warrant discussion (some of which you referenced in your letter yet I was not privy to at the time that the article was written). This, I think, brings up a very important lesson for all of those reading this exchange. Many reading this are very interested in the applied side of this field and may want to publish articles in print or electronic formats (and some may already be doing so). Here is a caution directed at them, if I may...publish something on the web today and regardless of how you feel about what you wrote 10 years from now, you'll have to live with it. Now, in this specific case - the Protein Prejudice article, I don't regret anything I've written and I still stand behind my comments 2 years later (rationale below). But there can certainly be cases where one might have a problem with the finality of a web publication. Here's an example, looking back to Dr Phillips' flat world analogy. Imagine that today's best scientists believe that the world is flat. Imagine further that you're an expert map-maker and you publish (on the web) a map of this version of the world. What happens when, 10 years later, it's proven that the world is round? Since that flat map doesn't disappear, it's there for the eternity of the web - with your name on it. Of course, you're cutting edge and publish round earth maps as soon as you can. But, one day, someone surfing the web will find your flat world map and, well, you'll immediately be ranked right up there with the people who believe crop circles were created by alien visitors and those who search out Bigfoot. So take note - the web is a great way to quickly disseminate info. But what you put out there might come back to bite you one day. So choose your words carefully! Ok, that digression aside, one more note with respect to the original Protein Prejudice article. This was published on a web site targeted to lay readers without the scientific training we have and are more interested in, if you will, applied nutrition. As a result, the article was not intended to be an exhaustive review of the literature. Therefore, comparing one of your more recent well-written literature reviews to one of my (albeit well written, if I do say so myself :-) short, 2 year old, lay articles isn't exactly an apples to apples comparison. So I'm glad we're getting this chance to speak directly! I agree...in fact, much of my "lay" writing is more speculative than most scientists would feel comfortable with. If I were writing a literature review, certainly, there would be leaps that I simply couldn't and wouldn't take. But in this type of forum, where I am writing to an "applied" crowd, I feel that I do have free rein to take the literature that is available and make a few "speculative leaps" at some things beyond what the literature tells us explicitly. In this sense, without the ability of science to demonstrate verisimilitude, my speculations are just that - my best guesses based on what we do know in the literature AND what I see in practice. (Forgive the impending "philosophy of science" tangent here, but in addition to my physiology undergrad work, I did study philosophy and loved the study of the philosophy of science). Any scientist worth his or her own salt would agree that we're barely scratching the surface of what's yet to be known, explored, and discovered. Yet we still have to make decisions, every day, based on incomplete evidence. And that's where much of my writing leads me. I look to the scientific literature, but since, in parallel to my scientific training, I've run a successful coaching/consulting practice - one in which I attempt to rigorously control what's possible to be controlled in free living athletes/clients and document what I see, I also look to the "clinical" (for lack of better word) results that I see every day. Finding this balance is difficult, but that's my mission and the express mission of my company - Science Link, Translating Research Into Results. Our tag line is this: However Beautiful the Strategy, You Should Occasionally Look at the Results. By striving (and I certainly may miss this mark from time to time) to find the balance between research and results, applied and basic, clinical and laboratory, I know that I can find support for ideas that work and drive new ideas in the process. This is what I get excited about! "Science is merely an extremely powerful method of windowing what's true from what feels good; without the error-correcting machinery of science we are lost to our subjectivity..."
But science alone doesn't always get it right - nor is it always there with an easy answer to "what's true" - nor is it capable of supporting or refuting many, many hypotheses that we continually test (n=1 of course) in our own daily lives. So it's my impression that the dialogue between "clinical" and "laboratory" observations is critical in making recommendations/decision for daily life (including nutrition and exercise research). Heck, this is why I wanted to open up this conversation…Dr Phillips might be one of the smartest guys around in our field and his input on this question is invaluable. I think I'm a pretty smart cookie too. And there are lots of really intelligent people reading this. What a cool chance to really break new ground, get a bunch of new ideas stimulated, and open up a running dialogue that blends "clinical" and "laboratory." So even if my article isn't true in the scientifically verifiable sense of the word true, I'm just happy that it might stimulate enough discussion so that we can better get after the "truth". Hence, trying to talk about a requirement or even optimizing protein intake based on finding from nitrogen balance studies is like trying to circumnavigate the globe using a map before we knew the earth wasn't flat - the instrument is badly flawed so it will lead you, ultimately, in the wrong direction. This is a fantastic analogy and that's why I added it here again (after mention of it above), a bit out of order. I agree that the N balance studies are flawed - but, unfortunately, until you start publishing your more recent data, Dr Phillips, they represent the bulk of what's out there and available for review (especially 2 years ago when I wrote the article). This area is so poorly researched and, as we both know, that's due to a lack of governmental funding for areas such as this one - one that's more recreational than of major public health concern (although, of course, there are public health applications to this type of work). So think of us as miners with small headlamps in a dark cavern that's not been well explored. We can make guesses as to what's ahead of us in the cavern. And these guesses are based on the small amount of light we can see with and the small amount that we're seeing (of course, limited to the area of the cavern we're standing right now). So I remain open to the suggestion that one day someone will find a way to rip the roof off that cavern and I might feel very, very silly about my guesses when it's exposed in its entirety. But I don't believe that I can be faulted for reporting on what I see, what I guess, and how I interpret both. Also, data from Mike Rennie's Lab (Bohe et al. J. Physiol. 532: 575-579, 2001) shows the in the face of available amino acids that muscle protein synthesis is turned off after 1-2h. Now, although very interesting, these data aren't a good justification for a lower protein requirement/optimization point. In fact, I distinctly remember bringing these data up at ACSM (was it last year?) at a session Dr Phillips was moderating. And I believe the consensus was that it would be nearly impossible to duplicate (with the diet) the "steady rate" amino acid infusion program of this study. In essence, when you eat protein you get peaks and troughs and it's probably the change in amino acid concentrations that stimulate the protein synthetic mechanisms - not a threshold. Now, Rennie's more current data may suggest otherwise - I can't wait to read it in print. But as of our last conversation, it was Dr Phillips' opinion that amino acid changes in the blood are what govern synthesis - not having an amino acid concentration above a certain threshold. This means that each time we eat more protein we'd get a bump in PS. So I don't really see how this comment is relevant - interesting, yes - relevant, I'm not sure. Of course, these are all guesses - but the point is well taken. However, just how meaningful are they? Probably about the same as suggesting that burning an extra 20kcal/day by gardening would lead to an increase in monthly caloric expenditure by 600kcal and in yearly expenditure by 6000kcal. This surely means the person would lose just short of 2 lbs per year from gardening for 3 minutes a day! Forgive the absurd example, but the point is that the body makes constant adjustments, adjustments designed at the maintenance of homeostasis in the face of such subtle perturbations. As a result, with all the "slop" room in the calculation above, it's really hard to say what exact amount of "extra" protein is needed to pack on more muscle mass. I do "get" your point that according to even very liberal assumptions, it doesn't seem like much and perhaps athletes don't need much more protein for enhanced PROTEIN ACCRETION. But let's not forget the big picture here (below). As far as 'optimization', this is a far more difficult question and even John knows that this has not been answered satisfactorily; or at least not to a degree that would make me offer the advice that lifters should "eat more protein - a lot more". Again, I agree completely that "optimal" is a loaded word and is a word that's nearly impossible to define. One man might define "optimal protein intake" as a protein intake that allows maximal functioning of all synthetic processes that require amino acids and that prevents excessive oxidation of amino acids and production of urea (Dr Phillips' choice). And another might define "optimal protein intake" as the protein intake that, when combined with sport-specific physical training, produces ideal body size and composition for that particular sport (which I would choose when working with an athlete or writing an article with athletes as a target audience). But regardless of the choice of the "optimal" definition (Dr Phillips' or mine), BOTH are pretty damn hard to test and with the current literature there is very little evidence as to what is the optimal intake for EITHER definition. Of course, there is SOME evidence, but as Dr Phillips rightfully pointed out, it's based on some old N balance data that's probably not valid anyway. So we're back to square 1. Not much evidence. So what do we do in these circumstances? But, in the meantime, I experiment with my athletes. Again, it's tough to really control everything in free living humans but ,I do a pretty damn good job. As a result, I know that when I put athletes on higher protein diets those athletes see the following benefits. I list these in response to Dr Phillips' comment: "while it is easy to say eat more protein and counsel athletes to do this what you have to ask at this point is what are the dividends of eating more protein over and above requirement?" 1) Improvements in body composition. Now, I concede that protein intakes above what the typical North American lacto-ovo, meat eating male gets are probably not going to pack on additional muscle mass directly from the additional amino acid load. However, as stated in the article, perhaps the other components of the protein foods are making an impact with respect to muscle mass. But even more importantly, muscle mass is not the only endpoint I choose when measuring body composition. For most performance (aerobic or anaerobic) and physique athletes, the relationship between fat mass and lean mass is critical - not just the absolute amount of muscle mass. Consider this, some of the athletes with the highest absolute amounts of lean mass on the earth are sumo wrestlers. Need I say more? Of course, we don't want to put this athlete on a calorie restricted diet (or, at least, in a large calorie deficit) as that might compromise performance ability and/or recovery. So how do we get the fat off? My solution (and it's worked time and time again) is to replace some carbohydrates from the diet with protein. The thermic effect of the protein may allow for more energy expenditure while still taking in a large amount of total energy and, importantly, micronutrients. Perhaps the BALANCE of glucagon to insulin may alter nutrient partitioning. Or there might be something else at work (perhaps something on the neurochemical/neurohormonal level) that we don't even have enough evidence to speculate on. I'm interested in your perspective on this issue, Dr Phillips. Any suggestions about what else might be at work here? Now, let me give a specific example of how this manipulation might be carried out and what results one might see. I have a cross country skier (national level) who went from 165 lbs to 135 lbs (with no net loss in lean body mass; measured via Bod Pod) in 3 months without appreciably altering workout volume or intensity (I worked directly with her coaches to verify this) by increasing calorie intake by 1000kcal/day (via weighed food records with the staff nutritionist) but going from a 70% carbohydrate, 15% protein, 15% fat diet to a diet containing 40% carbohydrate, 30% protein, and 30% fat (based on food selections I recommended). Food selection and timing improved, of course, with my recommendations so that's another variable. But, in the end, the major change was an increase in kcal and an increase in protein at the expense of carbs. To a similar end, I also have examples of athletes maintaining body mass (while losing fat mass and gaining lean mass) after an increase in protein intake at the expense of some carbohydrate. (Importantly, this isn't a LOW CARB diet. These are alterations that simply reduce carb intake percentages from the 60s and 70s to the 40s and 50s while often increasing energy intake). So my point is that for most athletes, body composition improvement is often the goal - not absolute muscle mass. And from what I've seen, increased protein intakes (with the appropriate dietary shifts) are much more effective at achieving the alterations most athletes need - less fat + preserved muscle OR less fat + more muscle while still training hard and recovering appropriately. Perhaps the best paper demonstrating the potential for an effect here is the Forslund paper (Effect of protein intake and physical activity on 24-h pattern and rate of macronutrient utilization. Am J Physiol. 1999 May;276(5 Pt 1):E964-76.) They showed increased protein intakes (at the expense of carbohydrate) lead to a negative fat balance and a positive protein and carbohydrate balance vs. "normal" protein intakes. Surely this gives some indication that an increased protein intake at the expense of carbohydrate can lead, at least, to acute shifts in macronutrient balance, the cumulative effect of such MAY be altered body composition via nutrient partitioning. Thoughts? 2) Improvements in recovery and the ability to handle higher training densities. Now, like "optimal", the word "recovery" can be a nebulous term. So let me clarify. Using both subjective and objective markers of recovery (POMS, resting heart rate, heart rate variability, quality of sleep indices, and - of course - daily performance), I've found that my athletes can train with more density when the typical sports nutrition recommendations of 60-70% carbohydrate, 15% protein, and 25-35% fat are altered in favor of an increased % protein intake and reduced % carb intake as mentioned above (as long as rapid post exercise carbohydrate replenishment strategies are utilized in order to ensure quick resynthesis of muscle glycogen during the most "glucose tolerant" part of the day - post exercise). Of course, I often see large changes in body mass/composition with these shifts so perhaps it's not necessarily the protein increase or dietary shift that's creating the effect, but the simple loss of "nonfunctional baggage" as I call it (i.e. body fat). Again, interesting reports none-the-less. Now, a clarification has to be made in response to Dr Phillips' comment "but then since they will never have tried doing anything else, do you get stronger, leaner, etc because, or in spite, of what you do". While some coaches may fall victim to this, with each athlete, I attempt rigorous reporting and outcome-based experimentation. I do not put all athletes on the similar diet, instead I use the first month or two as a trial period to see which strategies/changes produce the best results and then I do more of what has seemed to work. With that said, these two benefits for the basis of my recommendation for "more protein - a lot more." But let's remove the "a lot" ambiguity and put some numbers on it. After all, an 80kg athlete eating 4000 kcal/day and taking in 30% of those calories from protein would be getting about 300g protein/day (3.75g/kg) and this is A LOT more than 0.8 or even 1.4g/kg. Interestingly, even at your recommendation of 15%, Dr Phillips, a 65kg Tour de France cyclist, requiring in excess of 7,000 - 8,000 kcal (heck, even the spectators require a lot - I was at last year's tour and lost a ton of weight because I simply couldn't eat enough to get up those damn mountains every day) would be getting 300g protein/day or a whopping (4 - 4.6 g/kg). That, to me, is A LOT more than the 0.8g/kg recommendation or even the 1.4g/kg suggestion by many sports nutritionists. But mathematics aside, my point remains firm - myself and many of those that I teach through my seminars and writing report very similar effects with this type of dietary shift. I have some guesses as to why these things occur, but I have no firm scientific support on all of these benefits. However, it's IMPORTANT to note that there aren't any firm scientific objections either! And this is CRITICAL. If I'm doing things that fly in the face of scientific evidence, I'm willing to reappraise and throw out the chaff. However, in the absence of BOTH scientific approval and rejection, there's no cause to suggest that my methods are wrong - simply that they might not be completely scientifically verified or even verifiable as of yet. Would I love the support, yes. It would silence some of the critics (although they'll still yap away - some people just want to criticize). However I don't really need it. The best test of my consulting efforts is this - success with clients and repeat business. Hence, it does not appear that amino acid supply a) has to be large; and b) is not limiting for the process of synthesizing new muscle proteins. When you have an athlete overfeeding to gain mass or simply eating a lot of total dietary energy to support energy expenditure, the current recommendation is to shove carbs down their throats! At 4500kcal/day and 65% carbohydrate, we're talking over 730g carbohydrate per day. Now, while carbohydrate energy does impact athletic performance and does spare protein, could there be too much of a good thing? Getting 730g carbohydrate in the typical 4-5 meals an athlete might eat/drink means huge carbohydrate loads that, with subsequent huge releases of insulin, could lead to reductions in fat mobilization and oxidation throughout much of the day - especially if this chronic high insulin dump leads to neutralization of the improved insulin sensitivity most athletes enjoy. Now, you said the following: "Associated with protein ingestion is actually a pronounced insulin response unless the protein load is enormous - John knows this". But I respond with: Certainly not more than the associated insulin response accompanying a huge carbohydrate load. At least with the protein load, some counter regulatory glucagon is released. So my question to you, Dr Phillips, is this (it might be a bit loaded and/or contrived, but I'd still like to see your response): If you had to overfeed an athlete (or simply have an athlete ingest a very large daily energy intake) in an attempt to maximize the lean mass to fat mass ratio and you had to choose a macronutrient to "overeat", what would it be and why? (Keeping in mind "overeat" might not be well defined in this context - another way of saying it might be "choose a macronutrient to eat more of"). This question assumes that they're getting adequate daily energy intake (big assumption for most recreational athletes and some elite athletes - but not much of one for the athletes I work with directly). My feeling on the whole issue of protein consumption is that it appears to be beneficial to consume a higher than normal protein intake during a period of weight loss, to prevent loss of lean body mass. Lifting weights will only augment this effect and will, IMHO, have the more potent effect in terms of allowing one to hang on to as much protein as possible during energy deficit - I know the scientist finally agrees with the strategy tried and tested by body builders for years. I agree 100%...during periods of weight loss, there's no question (or really any reason for equivocation - the research is clear). Also, what about elevated homocysteine, an independent risk factor for cardiovascular disease, on high protein diets? Is this a legitimate concern or simply a secondary or tertiary debate point? Admittedly, I'm not an expert on homocysteine and heart disease so forgive any ignorant comments - I'm assuming that the speculation here is that high dietary methionine would lead to higher serum homocysteine concentrations as a result of methionine's demethylation via the methyltetrahydrofolate reductase enzyme pathway? Furthermore, if this is the ONLY potentially serious health consequence of a higher protein diet (and increased homocysteine is not universally regarded as a "real risk"), and the ingestion of cysteine and serine (present in high protein diets also) doesn't take care of the homocysteine, daily folic acid supplementation should take good care of that (and would offer other benefits) as discussed in (Treatment of coronary heart disease with folic acid: is there a future? Am J Physiol Heart Circ Physiol. 2004 Jul;287(1):H1-7. Review. No abstract available.). The view that a raised plasma tHcy level is causal in the development of vascular disease is an attractive hypothesis if only because folic acid offers an easy, inexpensive, and generally safe means of lowering it. This review challenges the hypothesis that tHcy is causal and raises the possibility that an increased tHcy is an epiphenomenon. Moreover, there is evidence that the beneficial vascular effects with folic acid are only achieved in pharmacological doses. Low-dose folic acid will reduce plasma tHcy, but a high dose may be required to produce the beneficial effects on vascular function, which occur before, and apparently independently of, homocysteine lowering. The current clinical trials are on the whole designed to test the homocysteine hypothesis of vascular disease using relatively low doses of folic acid. While these trials will undoubtedly show that folic acid lowers tHcy effectively, it is unlikely that the expected reduction in cardiovascular events will be seen. However, it is important therefore not to discount treatment with folic acid if these trials are negative, because it is possible that high-dose folic acid may have a beneficial effect on outcome via mechanisms independent of homocysteine lowering. Elucidation of these mechanisms is important in the drive to develop effective treatments for prevention of CHD. So is this an actual concern? In the final analysis requirement or 'optimization' the argument is moot. Available evidence (Tarnopolsky Journal of Applied Physiology 73(5): 1986-1995, '92) as well as hypothetical calculations are not consistent with the tremendously elevated protein needs John says must exist. Yes and no. For protein status or positive protein "balance" - perhaps. But isn't focusing on this one outcome variable a bit too isolationist for you as an inquisitive individual? After all, isn't there so much more to nutrition than focusing on 1 physiological outcome - protein turnover? Aren't athletes (even just physique athletes) after something much more than just an improvement in protein synthesis? As mentioned earlier, athletes are after the balance between lean mass and fat mass. They're after optimal biochemical conditions for performance. And they're after recovery of every system - from muscular to neural to immune. In my estimation, focusing on the protein status response to protein intake alone is committing an error - perhaps the same error many sports nutrition people are making with their chronic focus on high carb diets. Think about it - high carb diets evolved to be the recommendation for athletes because of the original studies showing that high carb diets lead to high muscle glycogen. And high muscle glycogen seemed to correlate with good performance (in endurance events, no less). So the sports nutrition community has based its entire recommendations on one thing - muscle glycogen. What about all the other stuff that supports training, immune function, etc? Now, with this as an analogy, are we doing the same thing if we stick to the argument that since aminos aren't limiting one potential body comp outcome - protein turnover - that we can ignore protein from there on out? Could altered intakes of protein impact immune function? 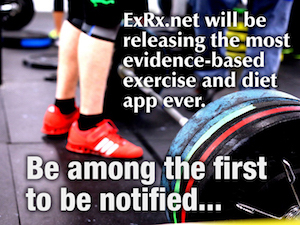 Could they impact body composition? i.e. the all important balance between fat mass and muscle mass. not just muscle mass in isolation. Could they impact the neurochemical/neurotransmitter balance in the body? Could they impact hormones that lead to body comp changes? Could they lead to alterations in physiological set points for cellular function? Could they alter CNS function? Could they offer OTHER nutrients that support body comp changes? Might individual differences govern the responses to each of the 7 aforementioned questions? Until these questions are answered, each of our conclusions about what's best for athletes - from a dietary perspective, are based only on a very, very small glimpse of what might be going on when we alter macronutrient intakes. So I guess this is where we reach the impasse. I'm sticking to my concluding statement in my review, since I see no true evidence to support any other recommendation otherwise; namely, that 12-15% of one's energy should come from protein. I agree that the literature has little to offer in the way of comprehensive dietary suggestions for athletes seeking to find their best competitive body composition, immune function, CNS balance, etc. However, as I stated earlier, sometimes we have to operate in the void where literature is lacking. To operate within that void, I've done some pretty cool, albeit loosely controlled experiments on small sample sizes to come up with my own conclusions. And in this realm, I'm sticking to my recommendations - more protein. Of course, this statement "more protein" is a gross oversimplification. Caveats include - macros can't be viewed in a vacuum, "more protein" must be matched by appropriate shifts in dietary carbohydrate and fat, and these suggestions may have behavioral implications in free living humans that can't be controlled. (Of course, my original article didn't touch on much of this and that was, admittedly, a weakness…but such is the article format. If you tried to cover it all, it wouldn't be an article, it would be a book. But if you kept telling the story, it wouldn't be a book any longer - but a volume of books. And so on. So you've gotta stop somewhere, leaving stuff out along the way based on your judgment). Thanks for the discussion and the forum to share these types of ideas. PS…One more caveat - Dr Phillips, I'm sure that we can agree to disagree, but let's do so officially at ACSM where, regardless of its low protein content (usually 0.3 - 0.5%), you'd better let me buy you a beer! I do have to admit that there is a 'metabolic' advantage to consumption of higher than normal protein - provision of muscle building blocks, BCAA, establishes good hormonal environment, better macronutrient mix for lean/fat mass gain, and Layman's work shows improved loss profile too. I suppose what it comes down to is where exactly this point is: 1g/kg/d 1.5g/kg/d, 2g/kg/d, more? Surely at some point, the protein simply cannot be shoved into the system and is oxidized and the N is turned into urea. Since N (i.e., ammonia) is toxic to most species, then our enzymatic machinery would be elevated to deal with/handle the excess protein/N. Hence, once you've started eating 'high' protein you'd better continue doing it, because suddenly downshifting to lower protein would result in degradation of that protein - higher peaks of protein synthesis, maybe, but lower valleys when not eating or when consuming lower than your body is setup to process (this is theoretical but does have some experimental support). Eventual consequences of high protein - Homosyteine (not likely too big of a deal), Kidney (no), Bone loss (no, in fact the opposite is likely true), association with fat (maybe if protein is purely from animal sources), expense (it's all relative, but potentially yes, if highly purified supplemental forms are consumed). Anything else...I don't think so. Your points - immunity (maybe), neurotransmitters (I don't know of any evidence), CNS function (likely relates to the previous, but again, I don't know), there are many other theoretical/potential possibilities but they have yet to be proven. I actually had a really good chat with Don Layman last week in Houston, where he and I were giving talks to the International Livestock Congress (beef protein). He presented some terrific data and agreed that likely 1.4-1.5g/kg/d is a good intake when you're losing weight (in women). Men are likely similar. Gaining weight, your points are well taken and many I cannot argue with since no good data exist to support either. If there is one area that I think you and I (and Dr. Ivy also at University of Texas) can agree on, it is that immediate post-exercise nutrition has a very large impact on gains - we're just about to submit some very solid data on this issue. This is not to say that later on isn't important, but the immediate 1-2h after exercise is important, particularly for resistance training athletes. I do have to admit that there is a 'metabolic' advantage to consumption of higher than normal protein - provision of muscle building blocks, BCAA, establishes good hormonal environment, better macronutrient mix for lean/fat mass gain, and Layman's work shows improved loss profile too. I suppose what it comes down to is were exactly this point is: 1g/kg/d 1.5g/kg/d, 2g/kg/d, more? Surely at some point, the protein simply cannot be shoved into the system and is oxidized and the N is turned into urea. Since N (i.e., ammonia) is toxic to most species, then our enzymatic machinery would be elevated to deal with/handle the excess protein/N. Hence, once you've started eating 'high' protein you'd better continue doing it, because suddenly downshifting to lower protein would result in degradation of that protein - higher peaks of protein synthesis maybe, but lower valleys when not eating or when consuming lower than your body is setup to process (this is theoretical but does have some experimental support). Yep - agreed. Therefore, in the end, it appears that the only real negative to eating a lot of protein is the fact that you'd need to keep intake high always (unless you know when you'll want it low and ramp down slowly). I've had to do this with my athletes for sure - esp. athletes like x-country skiers who travel out to a glacier to train and live for a few weeks. Altitude, sleeping in tents, skiing all day, not much in the way of nutritional volume...gotta find some anticatabolic strategies for them. So really it just becomes a preference thing. However, all else being equal, with all the extra metabolic processing needed for protein, you do drive up energy expenditure without much risk - something that many athletes could benefit from (body comp wise). Your points - immunity (maybe), neurotransmitters (I don't know of any evidence), CNS function (likely relates to the previous, but again I don't know), there are many other theoretical/potential possibilities but they have yet to be proven. I actually had a really good chat with Don Layman last week in Houston, where he and I were giving talks to the International Livestock Congress (beef protein). He presented some terrific data and agreed that likely 1.4-1.5g/kg/d is a good intake when you're losing weight (in women). Men are likely similar. Gaining weight, your points are well taken and many I cannot argue with since no good data exist to support either. Yep, I agree...I'd love to share with you some of my case studies one day, though. Really cool stuff - we've got a database of measurements with a large group of athletes that we analyze statistically to come up with some of these conclusions. If there is one area that I think you and I (and Dr. Ivy) can agree on it is that immediate post-exercise nutrition has a very large impact on gains - we're just about to submit some very solid data on this issue. This is not to say that later on isn't important, but the immediate 1-2h after exercise is important, particularly for resistance training athletes. I've got a coupla papers that I'm about to submit also - work in endurance athletes. After completing the debate, Drs Berardi and Phillips shook hands and walked back to their neutral corners content with a great discussion. In fact, rumor has it that they're even considering collaborating on a few research projects to get at the heart of some of these protein questions. See what can come of a healthy discussion! Dr. John M. Berardi is one of the world's foremost experts in the field of human performance and nutrition. In addition to being a prolific author, Dr. Berardi is also a sought-after speaker and a consultant to Olympic, professional and elite athletes, as well as executives and recreational weightlifters serious about achieving optimal results. Dr. Stuart M. Phillips graduated with a B.Sc. in Biochemistry, from McMaster University in 1989. Subsequently, he earned an M.Sc. degree in 1991. At the University of Waterloo, he studied with Dr. Howard Green for 4 years before receiving a Ph.D. in 1995. Postdoctoral work followed his Ph.D. for three years at the University of Texas Medical Branch with Dr. Robert Wolfe. Currently, his research program is fueled by grants from The Canadian Natural Sciences and Engineering research Council, The Canadian Institutes for Health Research, A Premier's Research Excellence Award, a CIHR Career Scientist Award, and, more recently, the US National Dairy Council. As well, he has a very enthusiastic and hard-working group of graduate students! !